The company was founded in 2013 by basing its core business on a Swiss Data Centre located geographically in a strategic position to operate both locally and internationally and thanks to the most important European fibre optic backbone, we are connected with all telephone operators throughout Europe and in other 60 countries around the world. Comunica began its operations as Wholesale Trader in the international voice traffic market by signing more than 250 bilateral agreements with leading international telecom operators. 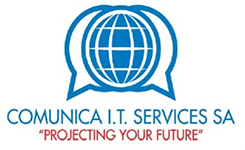 At the end of 2015, Comunica started providing Data Centre Services as part of Wholesale Trading, offering customers a wide range of solutions for management of their ICT systems.